In connection with advanced troubleshooting you may be advised to access and supply the below logs from Windows. Enter: eventvwr, and select OK. In Logged change Any time to Last 7 days. Name the file for example: computername-system.evtx. Name the file for example: computername-application.evtx. “Service stopped successfully”. The Event level is Information. “Service started successfully”. The Event level is Information. “Printix Service Unavailable”. The Event level is Warning. It is typically the Operational log that is needed for troubleshooting. If logging is disabled, then you will first have to Enable log and then reproduce the issue. Right-click each of the above and select Enable log. Print to the Printix printer. 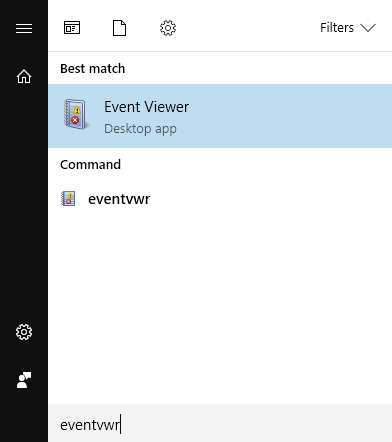 Check that the Event Viewer logs contain Events. Name the file for example: computername-operational.evtx. Right-click PrintixService.exe and select Go to details. Right-click PrintixService.exe and select Create dump file.